I was sad when I heard J. Wellington’s shut its doors a months or so ago. I for one was a big fan. When they opened burgers were only $6.50 and they included bacon and all te other fixins. Their One Eyed Runt was the star on the menu with crispy fried onions, bacon and a Sriracha mayo that was killer. 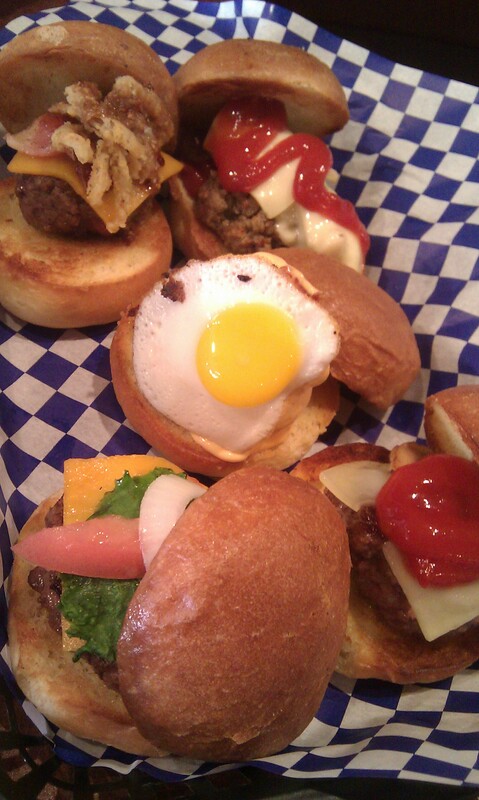 Burgers were cooked to order, fries were hand-cut n double fried, plus they were BYOB and open late on the weekends. What more could you want in a burger joint? Well pricing increased and I heard a couple people have mediocre experiences just before closing so maybe they were in fact slipping. I, however, don’t think Chicago gave them a fair shot. Normally I wouldn’t post a restaurant that isn’t open any longer, but I felt the public needed to know what they missed in this yummy case. Ill miss you J. Wellington’s. You’ve inspired me to bring Sriracha mayo to the front lines of the burger war restaurants fight every day. ← Brown Trout. Sustainable fine dining from a husband-wife duo.